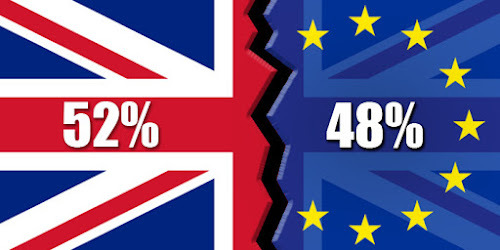 Simon Benham's Blog: Brexit this Sunday! Well it isn't actually going to happen this Sunday, I suspect that's going to be a much longer process. However, I am going to talk on Sunday about how we respond to Brexit and many of the challenges it poses. It definitely won't be the final word on it all, nor will it be exhaustive and some I'm sure some will leave with more questions than answers, but by asking the question "what would Jesus have to say about it all it all?" we'll hopefully at least give a different angle to the often bemusing coverage and comment we get from the Internet, TV and newspapers. Please be praying that God will speak through it all, and that many of the visitors who came to the carol concerts and indicated they'd like to come to church in the New Year will come. Remember if you see people you don't recognise to welcome them - we're all part of the welcome team. Happy New Year and hopefully I'll get to catch you on Sunday.